This item is a print of my original painting titled Bunny Under the Stars. 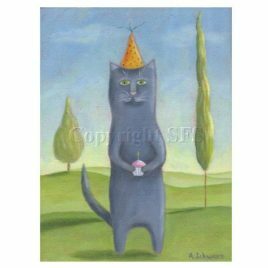 It measures 8 x 10 inches and is printed on a high quality, Canon semi-gloss photo paper with archival inks. There is a white border around the image for easy framing. The image is very clear and picks up all of the details of the original painting. The cost of shipping this item to the United States and Canada is included in the price. Shipping to all other countries is calculated at the checkout. Delivery time to Canada and the United States is 7-10 days. Delivery time to all other countries is approximately 2 weeks. The price is in U.S. dollars. 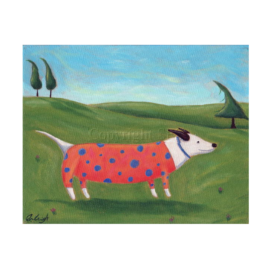 To see a larger image of the print, click on the picture. 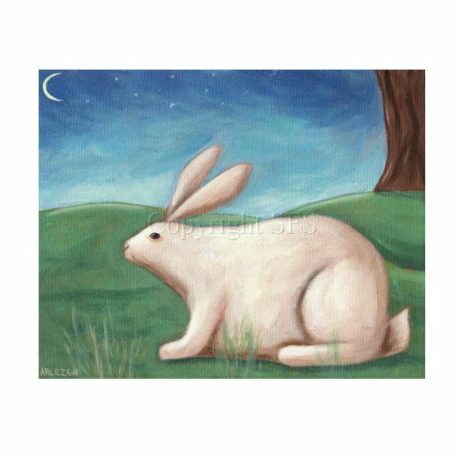 This print would be perfect to display in a child’s room or any other space that needs something peaceful and restful in feeling. You can see more prints by going to the Print section of the shop here. 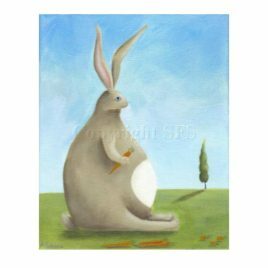 This is a rabbit art print - the image measures 8 x 10 inches, the paper size is 8.5 x 11 inches. Please scroll down for a complete description of this item. 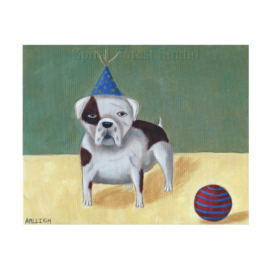 This item is an art print of a bulldog. Please scroll down more to see complete details of this item.